What does Anodic Oxidation mean? Proper ventilation and light penetration. Our name says it all. When it comes to quality perforated metal products and services, look no further than Anping Wannuo Wire Mesh. Our team is the best in the business. We’ll work closely with you to ensure your specifications are met every time. Anping Wannuo Wire Mesh has the skill, expertise and tools get it done right. 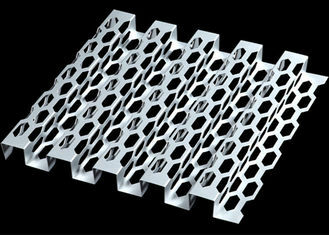 Contact us today to learn more about Hexagonal Honeycomb Holes Perforated Metal Screen for 4s Store.